I have a friend who is a very keen cyclist, he rides nearly every day cycling to and from work and has even done a few races over the years, he wears all the gear. When we have spoken in the past he has gone on about the type of bike he rides to work and then the type of bike he uses to race, its all very technical and goes completely over my head, but seeing him ride and hearing all this leads me to believe he is what I would consider a good and competent cyclist. 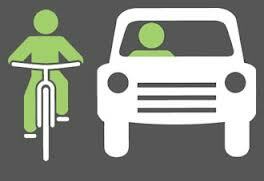 Now as a driving instructor I see loads of things on the road that are not done correctly and in some cases, some people are downright dangerous, these can be people in cars, pedestrians, buses, HGVs and taxis (don’t get me started on taxis), but some of the worst are thats right you guessed it cyclists! , this is a book (or web pages) of rules for all road users this includes cyclists, but based on my own observations it seems that most cyclists have never read the book, I might even go as far to say that they do not even know that the book exists. My biggest grip with cyclists is red lights, as I am sure you already know a red light means STOP but the number of times I am sat at a set of traffic light be that as the lead car or several behind a lot of cyclists seem to not see or completely ignore the red light, some of them seem to look and I can assume, think that it is safe and they decide to go anyway. In all honestly I have seen some that don’t look at all they just see a red light and assume everyone is on red and think it is safe for them to go. A red light is there for all road uses not just motorised ones. Unfortunately my main advice when it comes to cyclists is to be extremely cautions as you never know what they are going to do next. Unlike driving a car you do not need a licence to ride a bike, I don’t really want to drawn on that argument, but there is training available, just do google search for cycling proficiency in your area and I am sure there will be plenty. on Amazon, there is even an iPhone app. All of these options are not every expensive and even though I would advice you have a copy you can reference there is also a web version available on the government website as well which is completely free. Before I finish up I would just like to say that like my friend at the beginning of this post there are many, many good cyclists out there and unfortunately they are let down by the bad ones. Be safe and look out for cyclists! !